Coachella Music Festival’s first weekend may have just ended, but worry not, festival season has just begun. With tickets still available for huge events like Bonnaroo, Burning Man, Lollapalooza, Hangout Fest and others—plus the recent youth culture interest in wearing items like headdresses and bindis—I personally cannot think of a better time to discuss cultural appropriation and appreciation. But on the other hand, cultural appreciation can be acceptable, especially in artistic format. An example of this includes Madonna wearing the bindi (which is associated with the third chakra and is believed in Hinduism to strengthen wisdom and concentration) when she performs, not because she thinks it is merely pretty, but because she is a longtime practitioner of both Buddhism and Hinduism and understands the cultural significance of the bindi. So, please remember in between Kendrick Lamar and The Alabama Shakes’ sets this summer that showing knowledgeable and respectful appreciation for another culture is the highest form of flattery when it comes to cultural exchanges, but cultural appropriation is a huge no-no. It is disrespectful to wear another culture’s tradition without first understanding their reasoning and importance behind the object. Emulate responsibly! My name is Maximus Decimus Meridius, commander of the armies of the North, Commander of the Felix Legions, loyal servant to the true emperor, Marcus Aurelius. Father to a murdered son, husband to a murdered wife. I have strong views on cultural appropriation, to the sons and daughters of Anglo Saxon Germanic whores who have taken the culture of my people, appropriated togas for drunken escapades and reduced orgies to stank ridden fraternity houses instead of palatial estates. Sorority girls who view gladiator sandals as a “fashionable” accessory, let me tell you, they were a means to defeating the tribes of Gaul and quelling various other barbarian hordes. 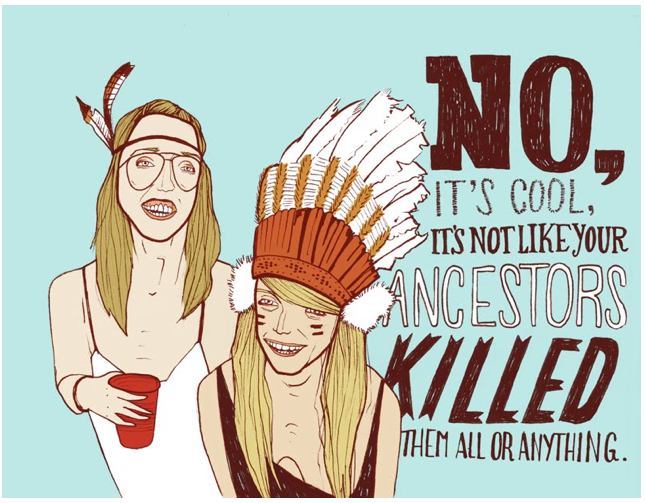 Cultural appropriation IS WRONG. I will have my vengeance in this life or the next.